Privacy Preserving are of concern to many stakeholders, including the data subjects (end-users), the data controllers (organizations) as well as legislative bodies, data protection agencies, consumer rights organizations and human rights advocates. Privacy Preserving Technology, Law and Management is a key spot of cloud computing and storage. As the cloud computing is becoming widely used, privacy preserving will gain more attention. 1) Privacy preserving techniques based on cryptographical and non-cryptographical methods. 3) The governmental regulations and commercial policies on privacy protection in China and other countries. We need to conduct curriculum related research in the field of privacy protection technology and management. Our aim is to enrich the current course with contents including frontier techniques and newest legislation, by constructing experimental prototype and developing course materials. Cloud computing allows data users to outsource/share their data while enjoying affordable price and high scalability. Despite numerous advantages, data outsourcing hinders data owners managing outsourced data: How to preserve the privacy of outsourced data and enforce access control policies on accessing it. Attribute-based encryption (ABE) enables an access control mechanism by specifying access control policies among decryption keys and ciphertexts. However, pure ABE is not sufficient for data sharing applications since users’ access rights are not static: A user’s access right might be revoked if he/she leaves the organization. Our ABE variant, dubbed directly revocable key-policy ABE with verifiable ciphertext delegation (drvuKPABE), which supports direct revocation and verifiable ciphertext delegation. Considering migrating from their owned infrastructure to the public cloud. In order to preserve data privacy against any possible attacks in the public cloud, it is inevitable for data owners to encrypt their data before outsourcing it to the cloud, which might hinder the data usage. For example, how the data owner can search on their outsourced encrypted data? How the data owner can delegate his search capability to other users in a fine-grained manner? attribute-based proxy re-encryption with keyword search (ABRKS), which introduces a promising feature: In addition to supporting keyword search on encrypted data, it enables data owners to delegate the keyword search capability to some other data users complying with the specific access control policy. Here are all the related course slides. In addition, we provide some reading lists for you. Shi Y, Zheng Q, Liu J, et al. Directly revocable key-policy attribute-based encryption with verifiable ciphertext delegation. Information Sciences, 2015, 295: 221-231. Shi Y, Liu J, Han Z, et al. Attribute-Based Proxy Re-Encryption with Keyword Search. PloS one, 2014, 9(12): e116325. A. Sahai, B. Waters, Fuzzy identity-based encryption, in: EUROCRYPT, 2005, pp. 457-473. B. Waters, Ciphertext-policy attribute-based encryption: An expressive, efficient, and provably secure realization, in: Public Key Cryptography, 2011, pp. 53-70. N. Attrapadung, H. Imai, Attribute-based encryption supporting direct/indirect revocation modes, in: IMA Int. Conf., 2009, pp. 278-300. N. Attrapadung, H. Imai, Conjunctive broadcast and attribute-based encryption, in: Pairing-Based Cryptography–Pairing 2009, Springer, 2009, pp.248–265. Shao J, Cao ZF, Liang XH, Lin H. Proxy re-encryption with keyword search. Information Sciences 180: 2576–2587. Yau WC, Phan RCW, Heng SH, Goi BM. Proxy re-encryption with keyword search: new definitions and algorithms. In: Security Technology, Disaster Recovery and Business Continuity, Springer. pp. 149–160. Fang LM, Susilo W, Ge CP, Wang JD. Chosen-ciphertext secure anonymous conditional proxy re-encryption with keyword search. Theoretical Computer Science 462: 39–58. Zheng QJ, Xu SH, Ateniese G. VABKS: verifiable attribute-based keyword search over outsourced encrypted data. In: 2014 IEEE Conference on Computer Communications, INFOCOM 2014, Toronto, Canada, April 27 – May 2, 2014. pp. 522–530. Sun WH, Yu SC, Lou WJ, Hou YT, Li H. Protecting your right: Attribute-based keyword search with fine-grained owner-enforced search authorization in the cloud. In: 2014 IEEE Conference on Computer Communications, INFOCOM 2014, Toronto, Canada, April 27 – May 2, 2014. pp. 226–234. Guo SQ, Zeng YP, Wei J, Xu QL.Attribute-based re-encryption scheme in the standard model. Wuhan University Journal of Natural Sciences, 2008, 13: 621–625. D. Boneh, A. Silverberg, Applications of multilinear forms to cryptography, Contemporary Mathematics 324 (2002) 71-90. J.-S. Coron, T. Lepoint, M. Tibouchi, Practical multilinear maps over the integers, in: CRYPTO, 2013, pp. 476-493. S. Garg, C. Gentry, S. Halevi, Candidate multilinear maps from ideal lattices, in: EUROCRYPT, 2013, pp. 1-17. V. Goyal, A. Jain, O. Pandey, A. Sahai, Bounded ciphertext policy attributebased encryption, in: ICALP, Part II. Springer-Verlag, 2008, pp. 579-591. A. Sahai, H. Seyalioglu, B. Waters, Dynamic credentials and ciphertext delegation for attribute-based encryption, in: CRYPTO, 2012, pp. 199-217. 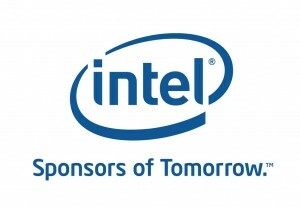 We appreciate the support from Beijing Jiaotong University and Intel Corporation.